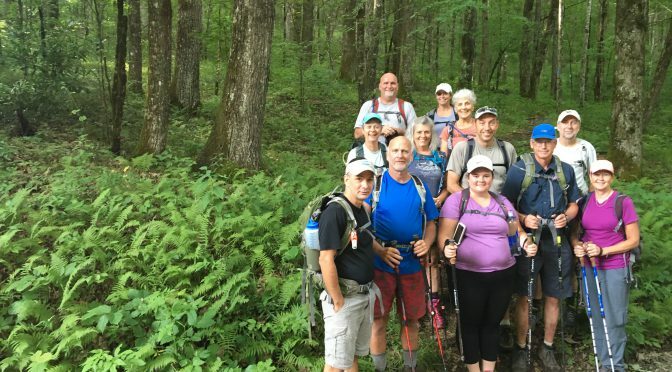 An August adventure (or four) to save your summer - GetGoing NC! GetBackpacking! Linville Gorge Intermediate Skills, backpacking, Linville Gorge, Aug. 10-12. Three days in one of the wildest, most scenic spots in the East will salvage any summer. Our 22 miles in the gorge starts at Table Rock on the East Rim. The first night is spent atop Shortoff Mountain, with sweeping sunset views of the gorge. On Saturday, we’ll descend to the Linville River for our first river crossing, then head up over rocky terrain interrupted only by behemoth downed trees (this being a designated Wilderness Area, the management strategy is to leave ’em where they lay). Sunday’s hike out includes more traipsing in the wilderness. It’s a backpacker’s most excellent adventure. GetHiking! A Transylvania Waterfall Weekend, Transylvania County (and surrounding environs), camping/hiking, North Mills River Recreation Area, Aug. 17-19. Appropriately, for the dog days of August, we spend this mountain camping trip in appreciation of water. 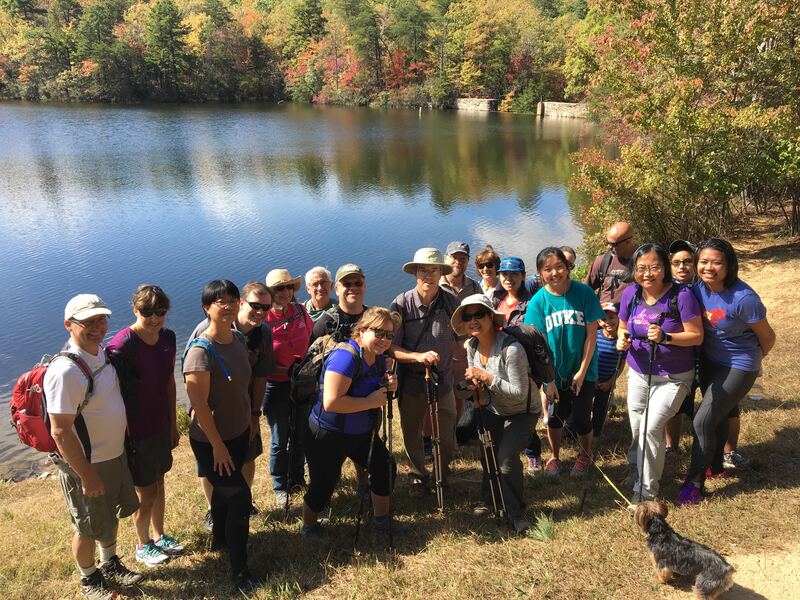 From a base camp at the North Mills River Campground, we’ll do three hikes: On Friday, we start at Gorges State Park with a hike along the Horsepasture River to Rainbow and Turtleback falls; on Saturday, we’ll explore the waterfalls—some of them swim-friendly!—at DuPont State Forest; and on Sunday, we’ll hike along—and in, at some points—North Mills River to the Hendersonville Reservoir. And, to make things even more carefree for you, we’ll provide all the food. GetBackpacking! 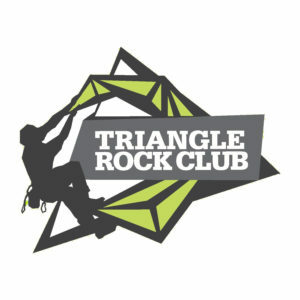 Overnight Sampler, backpacking, Eno River State Park, Aug. 18-19. Here’s your chance to have some fun and sow the seeds for a whole new life of adventure. If you’ve been curious about backpacking, this is your chance to see whether spending the day on the trail and the night in the backcountry is for you. It’s a minimal investment — not even 24 hours, and we provide the backpacking gear — that could alter the trajectory of your exploring life. We’ll get you fitted in a pack and get you packed, then hike in a couple miles, set up camp, cook and hang out. We spend the night in the great outdoors, then cook some more and hike out. Just enough of a taste to let you know if backpacking is for you; if you decide it is, you’ll get 25 percent off our more extensive GetBackpacking! 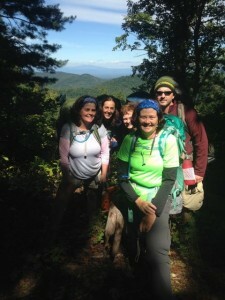 Intro to Backpacking class in September. GetHiking! Classic Escapes: Standing Indian Area, west of Franklin in the Nantahala National Forest, camping/hiking, Aug. 24-26. When it comes to summer adventure, nothing does it for us like days filled with challenging, scenic hiking, followed by lounging around camp and trading stories. 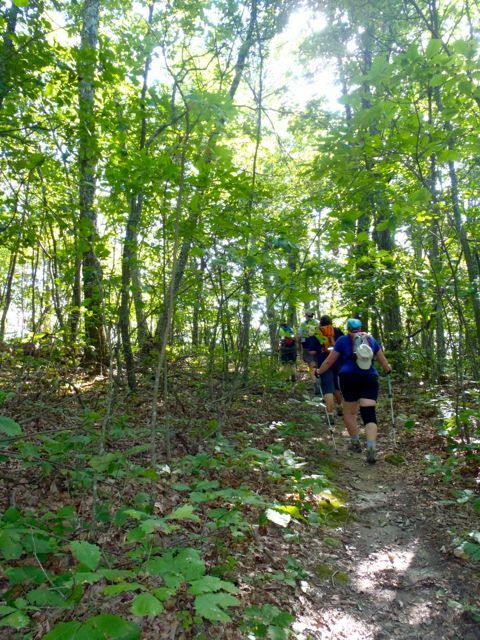 That’s what this Classic Escape is all about: Saturday, we hike an 11-mile loop that includes a stretch on the Appalachian Trail and tops out on 5,498-foot Standing Indian Mountain, with a large view to the south and east of rolling ridges of rugged green. On Sunday we’ll fuel you with a pancake breakfast, then hike a shorter loop that includes the Appalachian Trail. In between, we’ll loll in the cool waters of Kimsey Creek, which runs through camp.